Hi; I’m Humza Kazmi, the newest partner in the Hydra Cooperative. I’ve previously contributed to Slumbering Ursine Dunes and Fever-Dreaming Marlinko, and am currently editing Misty Isles of the Eld. This post is the first in a series of interviews with Hydra partners and authors, discussing their settings and perspectives on design. Here, Hydra partner Trey Causey discusses his work on the Land of Azurth. TC: I’m Trey Causey. 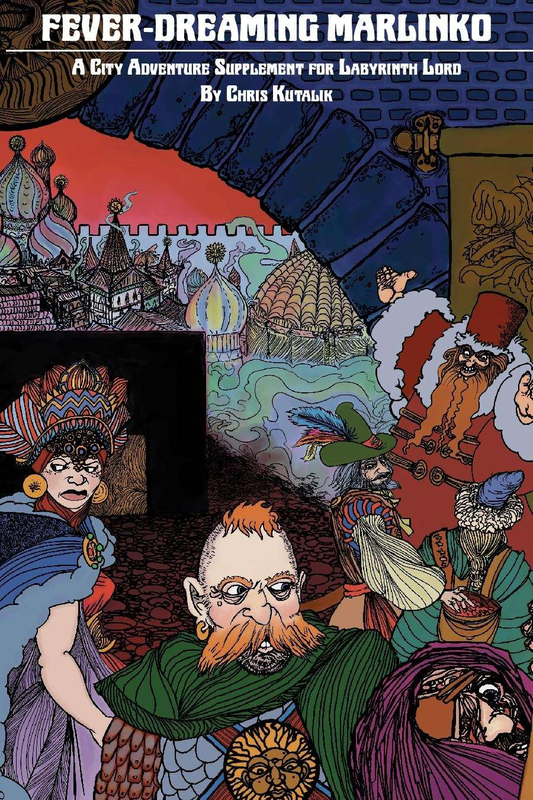 I write a blog called From the Sorcerer’s Skull and I’ve written a couple of RPG setting books: Weird Adventures and Strange Stars. My current fifth edition setting is a fantasyland called the Land of Azurth, which takes inspiration from the full span of American fantasy – from Oz to Barsoom to Masters of the Universe – while downplaying some of the traditional pulp fantasy/epic fantasy elements that more typically inform D&D. HK: What drew you to exploring American fantasy, in particular? TC: It’s kind of been an interest of mine for a long time, I guess. That was part of the impetus of Weird Adventures–and and more than one person has pointed out the whole American Frontier mythology underpins D&D. There are different ways to approach it, of course. There’s a bit of freshness to it, I think (at least compared with Medieval/Early Modern Euro-fantasy), and it feels like it belongs more to me than the myths and legends of other places. On the practical side, I know the flora, fauna, and climate in North America better, so it’s easier for me to describe with authority in the game. HK: What are some of the major sources of inspiration that you draw upon for Azurth? TC: The Oz books are probably the biggest, though the four different countries of Azurth each have a different flavor: Noxia is like a fairy tale kingdom where the evil queen won, Yanth is Oz and Americanized fairytales, Sang is planetary romance and lost world adventure, and Virid is “girl’s fantasy” like She-Ra or Amethyst: Princess of Gemworld. HK: Barsoom to Oz to She-Ra is a pretty big jump. What ties all of these settings in together for you, and how do you meld them all together? TC: I think they’re more alike than is apparent at first glance. All of them share the motif of a larger, mostly unsettled realm with odd wainscots within it. The plot of your average John Carter yarn and your average Oz tale are the same at their basic level:a hero and his or her companions find some strange, hidden society within a supposedly settled country and face some sort of peril there. All of them engage in quite of a number of hoary tropes/cliches that mainstream fantasy lit and most fantasy RPGs find too cheesy/juvenile (so instead they engage in a host of modern tropes/cliches far more overused currently). Still, I don’t deny there are differences in presentation and tone in some places. I deal with that by keeping them sort of geographically separated (kind of like the different regions in Allston’s Hollow World) and accentuate the similarities over the differences. I should stress, I’m still doing D&D informed by those things, and not the RPG of any of those things. 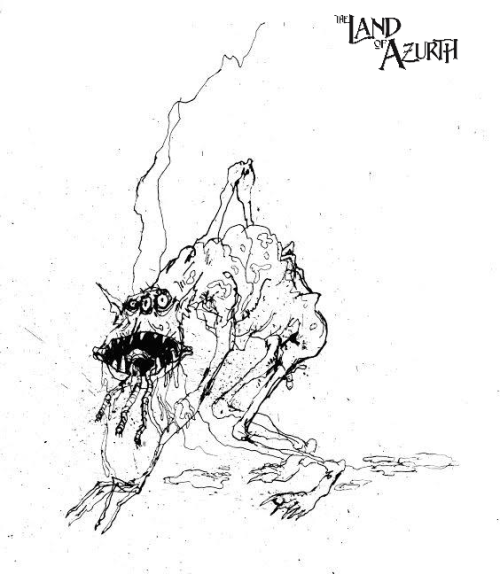 HK: What are some of the ways that Azurth departs from ‘standard’ fantasy? TC: Having different regions inspired by somewhat disparate sources and probably the sources themselves. There is a degree of “whimsy” in our current campaign, and probably intrinsic to a lot of the setting, that might be somewhat nonstandard. I don’t hesitate to employ some atrocious pun names (the sort Baum or Masters of the Universe, maybe, are fond of) that I would never do in a more serious setting. There is no “METAL!” here–or at least very little, and it’s hidden. HK: Having worked on the 2004 edition of Paranoia, I for one have a soft spot for pun names, and you can’t just tease us like that. What are some examples here? TC: Well, there was the Babbling Brook (that literally babbled), eye-rises (inspired by a picture by Jason Sholtis: sunflowers with eyes in the middle), merchants named Aunder Cheepe and Hyre Prys, and a upcoming magic item called the scareoption. TC: It’s shifted a bit from original conception, certainly. 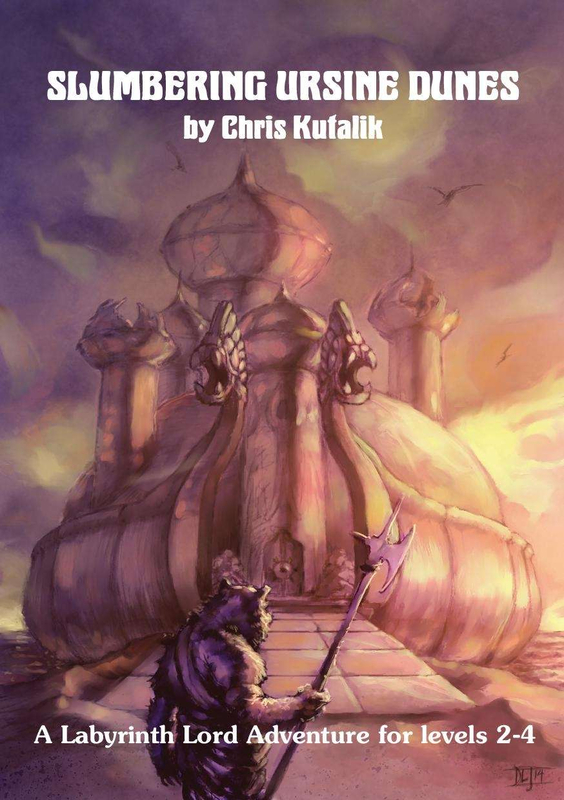 The tone was always going to be less serious than some of my other efforts, but as I wrote about it, it shed more of the traditional Sword & Sorcery D&Dish elements with time (though at the table it plays more “traditional D&D” than my setting write-ups might always indicate). It has also gotten more Adventure Time! 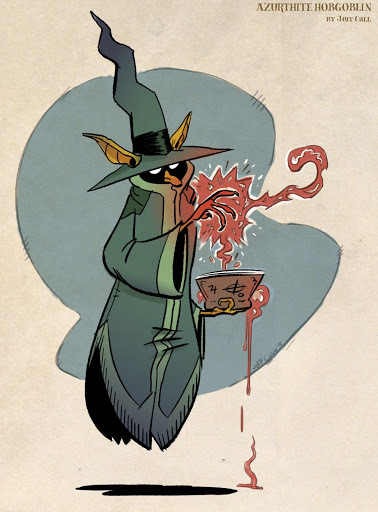 gonzo (though that was always a part of it) with more science fantasy stuff and less Over the Garden Wall in the last few sessions, in the last few months, though the pendulum could always swing again, I guess. HK: Is it important to you to distinguish Azurth mechanically as well as conceptually? What role (if any) do you see rules changes and tweaks playing in helping make a campaign setting feel unique? TC: In minor ways. A few tweaks here or there–mostly in monsters or player options like races/classes. TC: I don’t think most of my settings require a lot of buy in other than: “all the standard D&D options may not be appropriate or available here.” If players and GMs can wrap their heads around and enjoy the high concept, all the other stuff falls into place really. They may not play the setting exactly how I would do it, or perhaps even how I intended, but that really doesn’t matter. HK: How has the use of your setting helped drive the dynamics of your game? What has it gained you? TC: Setting sometimes constrains the type of adventures you might run, but it also suggests things to make them more flavorful. Players who really get into a setting often seem to make up really memorable characters that enrich the setting. In the Land of Azurth, at least, their are background mysteries that the players can either get interested in or ignore as they will, and I enjoy putting in little details that hint at that. HK: Thank you so much, Trey! One final question: what’s on the horizon for Land of Azurth? TC: I’m going to keep playing in the setting and blogging about it. The first published thing in the setting will probably be an adventure: The Cloud Castle of Azurth. I’m working on that a bit as time permits and will devote more time to it when Strange Stars is done.